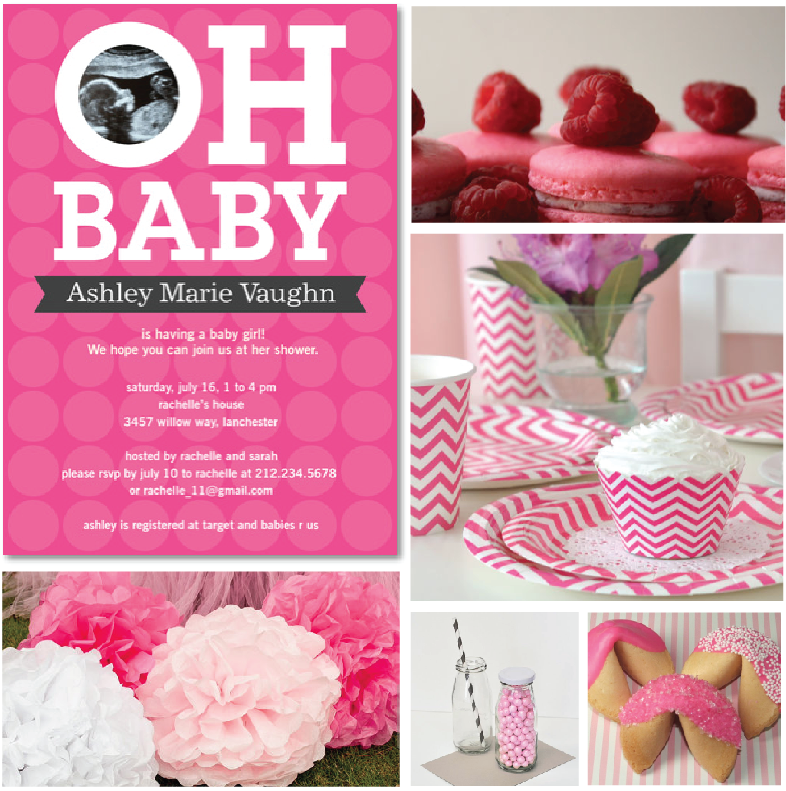 Baby Shower Party Inspiration – Hot Pink! For a sassy and modern Baby Shower why not go with hot pink for the hot mama?! You can find some great inspiration on Pinterest or Etsy. I love all of the party supplies at Tom Kat Studios, check them out for some great ideas as well.